When the collected dust is determined to be hazardous special filtration and protection must be incorporated into the industrial vacuum cleaner to meet exacting standards. “There are essentially 2 types of test that we use for our HEPA filters. The first is BS3928 the Sodium Flame Test. 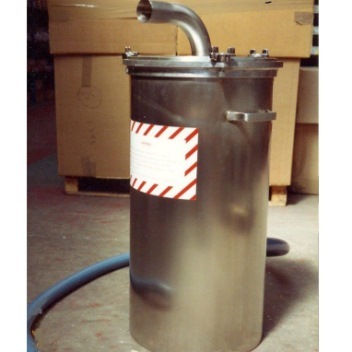 We use this for all our nuclear grade filters as it is specified in the nuclear filter standards and is the test used for all filters supplied to the MOD. The standard is now 50 years old and is likely to be reviewed in the next year or so, however the basic method, test and validation criteria are unlikely to change. Relating to the two current filter tests and standards are two British standards concerning Vacuum Cleaners for hazardous dusts: BS 5415-2.2:Supplement No. 1:1986 describes “Type H” vacuum cleaners and relates to BS3928 and BS EN 60335-2-69:2012 which introduces “H-Class”, relates to BS EN 1822. 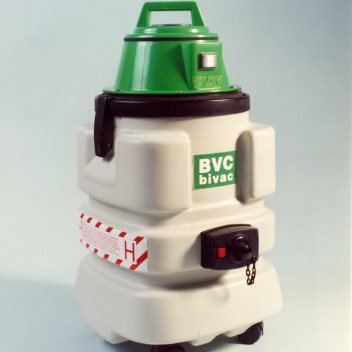 Helpfully, another standard; BS 8520-1:2009 describing the correct use of vacuum cleaners for handling asbestos states that “Class H vacuum cleaners are commonly referred to as H‑type vacuum cleaners”, indicating machines complying with either standard are appropriate. All the standards have the same objective – to ensure that Vacuum Cleaners used for hazardous dusts have high performance filtration capable of efficiently filtering tiny particles measuring a fraction of a micron. Currently, BVC Industrial Vacuum Cleaners in our Professional ranges are typically designated Type H units to BS5415 – the standard preferred by MOD and Nuclear facilities, whilst our Greenline models are designated H Class units to BS EN 60335. A Vacuum Cleaner with a HEPA filter is not automatically classified as Type-H or H-Class; further tests are required on the whole machine before the classification can be confirmed. Our specialists can help you choose the correct vacuum cleaner for your application. Contact us today to discuss your requirements. 110v and 230v versions of this Type ‘H’ industrial vacuum cleaner are available. 40 litre bin gives longer running time before emptying. Disposable paper or micro-porous collection bag options for safe, simple debris disposal. CV28 Commercial range type H version. 110v and 230v versions available. Robustly built small 28 litre capacity Type ‘H’ vacuum cleaner that is easily transported. Disposable bags for safe, economic debris collection. 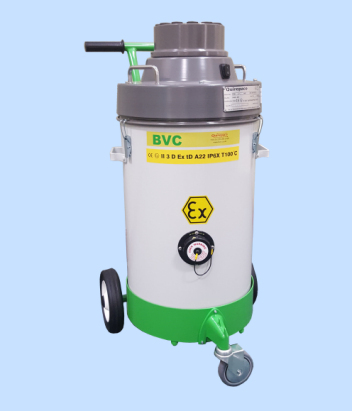 A variety of sizes are available to match collection and disposal requirements and match the BVC industrial vacuum cleaners power. Robustly built to give many years of safe use.